On May 20, 2016, the FDA announced that it has finalized new rules that will make significant changes to nutrition labeling for the first time in more than 20 years. The two final rules that the FDA is issuing pertain to food and supplement labeling as well as a rule that will amend reference amounts customarily consumed (RACCs) and regulations around serving sizes. These changes are made to help consumers make better informed decisions about the food they eat. So how do the new regulations affect you? There are several changes to the new regulations when it comes to food and supplement labeling, but one of the most pertinent changes are the adjustments to RDIs/DRVs. Seven RDIs increase, sixteen decrease, three remained unchanged, and one was added. For DRVs, three remained unchanged, two increased, two decreased, and one was added. The significance of these changes affect the ability to make nutrient content claims. For example, increased DRVs such as fiber going from 25 to 28 grams can effect what is considered “excellent source,”20% of the DRV is what is needed for manufacturers to claim “excellent source,” however with the new DRV increasing to 28 grams what was considered “excellent” in the past is no longer compliant based on the new standards (i.e. 5 grams of fiber is now only 18% DRV). When it comes to the changes regarding RACCs and the regulations around serving sizes there are several updates. First, there are 30 changes to the current 159 RACCs, with an additional 25 being added to the list. The FDA’s rational for updating the rule is because they recognize the amount the average American consumes in one sitting has changed since the first established RACCs in 1993. An example of the updates include ice cream which has changed from one- half cup to two-thirds cup, this means consumers will see a higher caloric number displayed based on the new RACC amounts. 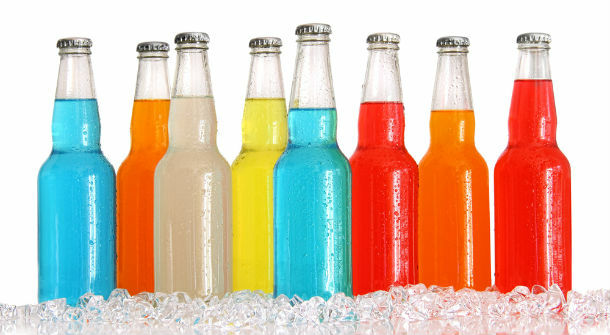 The new rules will also change how manufacturers label single-serve and multi-serve packages. Under the new amended rule, any food that contains less than 200 percent of the RACC must be labeled as one serving. The new rule also changes multi-serve packages because manufacturers with products that contain 200-300 percent of the RACC will now have to display dual column nutrition facts panels that provide both “per serving” and “per package”. These changes not only affect a manufacturer by needing to verify claims, but it also draws more attention to caloric content as well as other nutrients such as sugar, sodium, and fat on the packages which has been a topic of conversation for some time. The new updates given by the FDA this year give a two year period for compliance for companies with $10 million or more in sales annually, and three years for companies under the $10 million annually. With both of the final rules becoming effective as of July 26, 2016 manufacturers must begin to look at their levels of compliance based on these new changes and how it will ultimately change the nutritionals and the marketing for their products. When it comes to FDA and FTC compliance Curtis is positively one of the best people you could have in your corner. He over-delivered and goes the extra mile to help you above and beyond the project scope. He’s fast, dependable and can be counted on to do a great job. Don’t hesitate to contact Curtis. Although our formula was a bit difficult. And not being able to taste test MADE IT WORSE. Curtis used his expert knowledge, and even pulled his colleague in on the project, to ensure we had the best chance at a successful formula. He's solid. And I'd recommend him to anyone who needs formulation. Great work! Thanks DSE. Very professional and speedy job. Very pleased with the process and the end result. Very quick turnaround and very responsive. Very satisfied with outcome. Thank you. DSE did an excellent sincere job with FDA compliance for herbal supplements product labeling. I feel happy and confident that we can now take the next step towards distribution. Dietary Supplement Experts was very easy to work and was very accommodating to my situation. Everything went smoothly and to schedule. Curtis was very professional and knowledgeable in his field and the FDA facilities registration was completed without any problems. I have a contract with Curtis in place for him to act as my USA FDA Agent for 2017. Really easy to work with. Provided exactly what we needed and caught some major potential issues with our copy before we went into production! Once again, super-fast, super reasonable, and superb work. Will definitely be using Dietary Supplement Experts again! Great to work with, responsive, knowledgeable, no wasted time. Andy and Curtis - The four-day FDA audit was finished on Friday and was very extensive. They made no observations (or 483s) and only made a few suggestions. Thanks for your help in getting us prepared. CFUs or Milligrams for Probiotics? 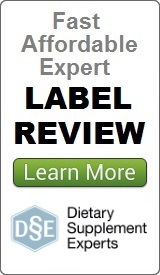 How Much Does Dietary Supplement Label Review Cost?